Twenty-four Republicans on the House Ways and Means Committee on Thursday wrote to newly installed Attorney General Loretta Lynch seeking an update on prospects for criminal charges against former Internal Revenue Service Exempt Organizations chief Lois Lerner. 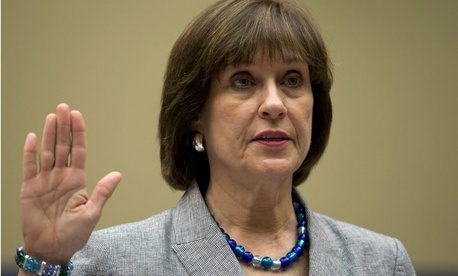 Led by Chairman Rep. Paul Ryan, R-Wis., the lawmakers cited the April 9, 2014, Ways and Means referral of Lerner to the Justice Department for prosecution on possible crimes that grew out of the two-year-old controversy over alleged political bias in IRS handling of nonprofits’ applications for tax-exempt status. The new letter noted that an April 2015 Justice response from since-departed U.S. Attorney Ronald Machen sent to Speaker John Boehner, R-Ohio, addressed only the contempt of Congress referral the House made after Lerner invoked her Fifth Amendment right to remain silent before the House Oversight and Government Reform Committee. That Lerner risked exposing, and may actually have disclosed, confidential taxpayer information, in apparent violation of Internal Revenue Code Section 6103, by using her personal email to conduct official business. “The committee continues to believe that these serious charges should be pursued by the Department of Justice,” the letter said. Lerner’s attorney could not be reached for comment. A Justice spokesman said the letter is being reviewed but that the department had no comment. A spokeswoman for Ways and Means Democrats, while declining to comment on the letter, noted that ranking member Sander Levin, D-Mich., called for Lerner to resign days after the targeting controversy broke in May 2013.